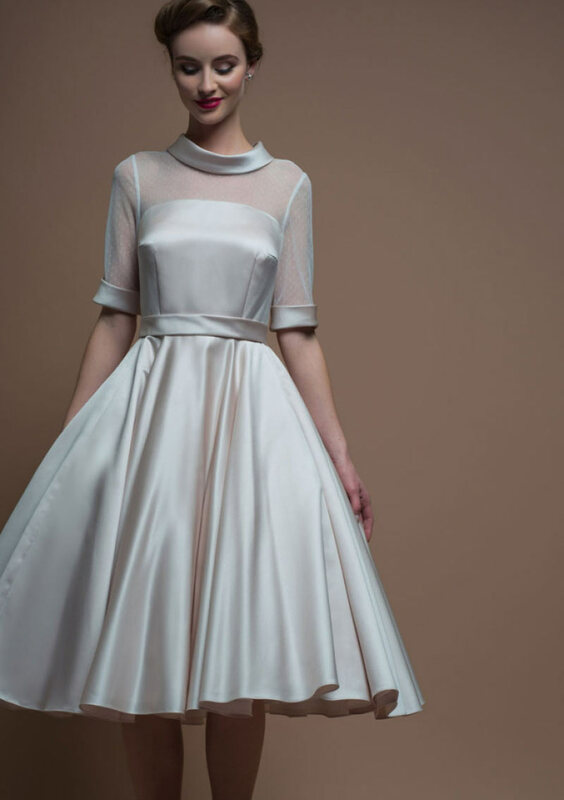 Prunella is a tea length dress with vintage inspired darted bodice, spotted tulle illusion neckline with rolled collar and cuffs, circular skirt with satin sash. 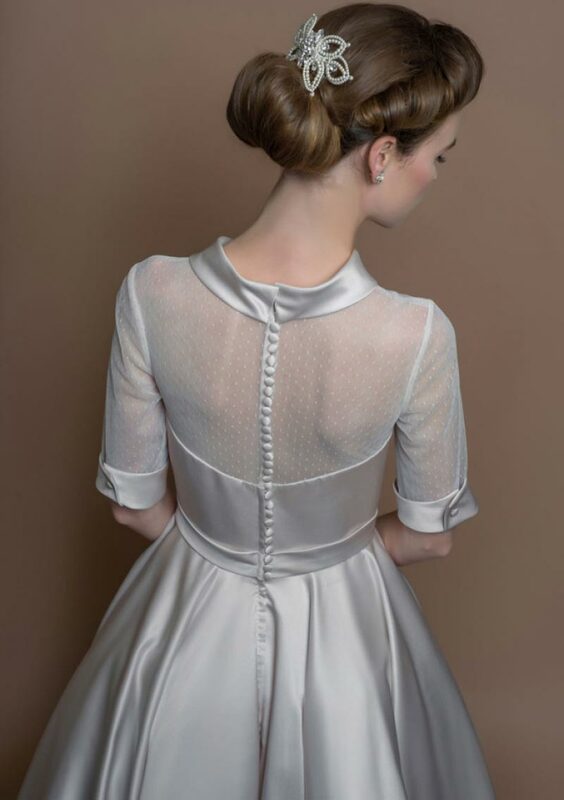 Soft satin and spot tulle makes up this pretty bridal design. A vintage inspired, tea length bridal gown. A high illusion back with buttons. This bridal gown features a high illusion neckline and 3/4 length sleeve edged with soft satin.